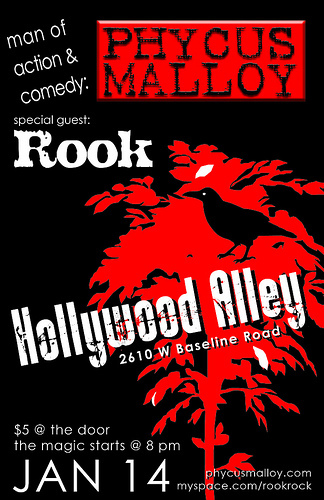 Super Duper Comedy with the musical Outpourings of Rook. Too much good stuff under one roof and maybe even a drink or five. Come on down if you have yet to see the show and tell your friends about it. They may actually wanna hang out with you that night. $5 Cover at the door and as always, a boatload of entertainment.